We have now raised $41.8 million in capital across 54 offers. The private capital part of the business continues to grow with $12.7 million raised privately in 23 offers. The average size of offers that we work with has been increasing and 13 offers have been over $1 million in size. We have completed 22 offers that attracted more than 100 investors. Our investor audience now includes 17,700 people, of whom 7,300 have actively indicated interest in investing in a particular offer. We’ve found that each indication of interest averages out to about $1,000 in investment in the final offer per indication of interest. One of the most important metrics for a two-sided marketplace business is “transacted users”. In our case, 3,100 people have made a completed investment on the platform. We are now working frequently with large family offices, institutional, and sophisticated investors. 810 people have invested more than $10,000 through the platform and 67 people have invested more than $100K through the platform. There are now 1,400 wholesale investors on Snowball Effect who are eligible to receive private offers. 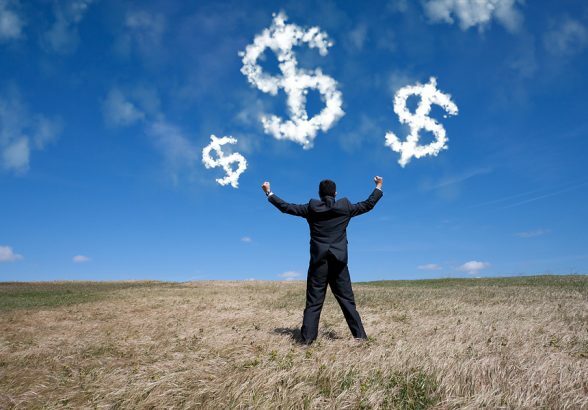 $27.7 million in transaction volume has come from people investing more than $10K. A key difference between Snowball Effect and other players in the online investing space is that we want investors to take the private company asset class seriously as part of their overall investment portfolio. To that end, we’re pleased to see that 33% of our investors have now invested in more than one offer and 14% have invested in three or more offers. 30 people have invested in 10 or more offers (which research from the Kaufman Foundation shows is the base level of diversification needed to approach the underlying asset class returns for angel and venture capital investing). The most active investor on Snowball Effect has now invested in 27 offers. Our ancillary services have continued to grow with 14 companies now tracking their legal share ownership records in the Snowball Effect share registry. These companies represent 2,059 shareholding records. We also now have 163 director profiles from investors that are available as independent directors for companies that raise capital through Snowball Effect. For more information from Snowball click here. AANZ member, Snowball Effect has recently released a three year update on the performance of their platform. It contains a wealth of fascinating insight and is really transparent about the money raised and the profile of their investors. It’s a timely provocation to all our members. This sort of data is critical to raising the profile, performance and reputation of early stage investment as an asset class worthy of attention. Over its first three years of operation, Snowball Effect has raised $29 million across 35 offers. 25 of these offers were made available publicly and 10 were made available privately. The public offers generated $23.1 million in investment and the private offers generated $6.1 million. The private offers are now the fastest growing part of the Snowball Effect marketplace. The capital being raised in each offer is significant relative to the rest of the industry in NZ, with eight offers reaching over $1 million raised and the average public offer reaching $923k. This compares to a market average for public offers on other platforms of just $371k. Large public offers like Zeffer and Designer Wardrobe are attracting significant numbers of investors. The average number of investors into a public offer was 142 people and 14 offers have received investment from over 100 investors. There have been 3,935 investments made through Snowball Effect. The largest portion of the amount invested came from investments in the $10k to $50k range, with $8.9 million worth of investments from this range. The largest single investment was $1.25 million and 632 investments were over $10k. At the smaller end of the scale, the largest number of investments was in the $1k and $5k range, with 2,162 investments in this range. The platform now has an audience of 15,509 of whom 2,413 have made an investment. So far, 27% have made more than one investment and 7.5% have made four or more investments. 17 people have invested in more than 10 offers and the most active investor has invested in 25 offers. The average age is 45, the youngest investor is 18, and the oldest investor is 88. So far, 24% of active investors on the platform are female, which compares to a national average in 2005 of 5% for angel investor networks in 2012 (according to the Angel Association of NZ). There are 896 wholesale investors registered on the platform. Wholesale investors are eligible to receive a wider range of investment offers because of their net-worth, experience with private investments, or financial sophistication. The average investment into a private offer is $35k and there are 48 investors who have invested over $100k. Snowball Effect launched the first public offer using the equity crowdfunding rules in New Zealand. In company’s second year, it introduced a private offer service and added a nominee service that lets companies manage multiple investors through a single legal entity. This year it introduced an investor profile that lets investors control what types of private offers they get access to and a director matching service that helps companies find independent or non-executive directors. 80 people have completed their independent director profile. Snowball Effect has also introduced a share registry management service which is currently tracking the shareholding of 468 investors. Snowball Effect – the first 2 years! New Zealand’s first equity crowdfunding offer kicked off on 11 August 2014. Below we’ve compiled an infographic showing some of the key statistics from the first 2 years of offers through Snowball Effect. • Public offers: An offer which is available to all Kiwi investors, and publicly visible. • Private offers: An offer which is restricted to an audience selected by the issuing company, and not publicly visible. The company can still make the offer to retail investors without a costly “product disclosure statement”. • Wholesale investor offers: An offer which is available only to people who meet the “wholesale investor” criteria. Wholesale investors are investors that are legally able to invest in any type of security on offer. This is an important aspect to our offering as it enables us to facilitate a wider range of deals (such as offers of instruments like convertible notes, raises of more than $2m, and private brokering). • Rights issues: Online facilitation of rights issues, including taking care of electronic signing of legal documents, payment collection, verification of wholesale investors, and anti-money laundering obligations. We’re really happy with how the market has developed over the first 2 years. New territory is being broken again right now. G3 Group was the first company to list on NZX’s new junior exchange, the NXT Market, when it launched 15 months ago. G3 is now raising up to $3m through Snowball Effect. This is the first time that a listed company has used an “equity crowdfunding” marketplace to raise funds in New Zealand. We’re also starting to see more private broking of deals. The demand is coming from companies who are seeking capital but would prefer to keep the business tightly held – seeking a small number of large shareholders rather than a crowd of minnows. Snowball Effect has recently recruited former capital markets lawyer and entrepreneur Cowan Finch to lead this part of our offering. There’s a long way to go before we make the impact that we want to make, but it’s been a great start. Thank you to the entrepreneurs, investors, and partners who have helped to make the first 2 years of online capital raising in NZ a success. This is only the beginning – we’re excited about bringing a wider range of investment opportunities to investors, and continually improving access to finance for Kiwi companies. The most pleasing result for us is the expansion of our offering as described above. This allows us to serve a broader part of the market, and tailor our services to meet the particular capital raising objectives of each client. There has been 35% growth from the first year in terms of capital raised. There has also been a significant increase in the average size of investment, and the number of investors making multiple investments – metrics that we monitor closely as proxies for whether the right types of investors are being attracted to the marketplace. Ubco, the Bay of Plenty-based electric bike maker, is transitioning to managing its manufacturing with Yadea, China’s leading electric scooter manufacturer, as it increases its focus on finalising a road-legal version of its off-road farm bike. In addition, having raised $1.8 million in its latest funding round, it will launch an offer on Snowball Effect later this month targeting up to a further $700,000. Ubco will be the second Bay company to go to Snowball Effect for additional funding, with Balex Marine also currently seeking capital on the crowdfunding platform. Ubco raised its initial capital through a combination of Enterprise Angels member commitments, EA Fund 1, and the NZ Seed Capital Investment Fund, plus existing and private investors. The company, which has an established supply chain in China, is now transitioning to a new manufacturing arrangement with leading Chinese electric scooter maker Yadea. Working with Yadea would make it easier to meet higher compliance levels required as it continued its push to create a road-legal version of the electric bike, said chief executive Tim Allen. Mr Allen said Ubco now believed it could sell a lot more than it originally estimated, and Yadea had the capacity to produce on a much bigger scale than the current arrangements. 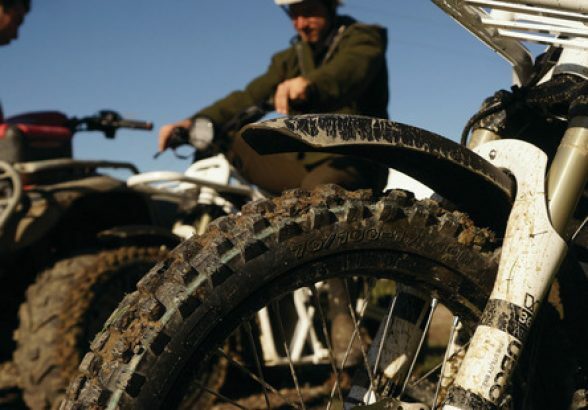 However the company would be continuing to sell the original off-road model, was now beginning to make inroads into b-to-b areas, and is currently filling an order for 15 off-road electric bikes for Real Journeys, operating at Walter Peak in Queenstown. Ubco has also successfully sold bikes to the Department of Conservation. Deion Campbell, who joined the board in his capacity as a private investor in Ubco and now serves as chairman, said the focus was on path to market. Mr Campbell is general manager generation for Trustpower. “There are a lot of interesting opportunities in the market, like the conservation groups and tour operators,” he said. Preparations for the Snowball Effect launch were in the final stages, he said, and interest had been high with 90 responding to the platform’s initial announcement. The company will be targeting an additional $700,000 to complete its round. Balex Marine, manufacturers of the Automatic Boat Loader (ABL), launched its Snowball Effect offer on September 26, which will remain open until October 17. The offer was targeting $300,000 to close out the company’s current $900,000 capital round, with provision for over-subscription. The capital will be used to strengthen the company’s push into new markets in Australia, Europe and the US, said chief executive Paul Symes. A Hutchison Boat Show award winner, the remote-controlled ABL has aroused strong interest in the marine industry. “The Snowball Effect round is the first time retail investors will have an opportunity to take a stake in the ABL,” said Mr Symes, a co-founder of the company. “We have already achieved a number of our key production and marketing targets and are now looking to establish the most effective ways to meet the growing trade and user demand that we are experiencing both in NZ and abroad,” said Mr Symes. The ABL is in commercial production and Balex has partnered with Gait International to manage all procurement, manufacturing, assembly and testing. The company has signed up New Zealand’s largest nationwide marine dealer, Boating and Outdoors, with 23 stores, and has partnership agreements with four major trailer manufacturers and five NZ boat manufacturers. The company has also signed an exclusive distribution agreement for the UK, Europe, Middle East and Africa with Forge Group (UK). Balex Marine also has sponsorship deals with two of New Zealand’s leading TV Fishing Shows – Big Angry Fish and Fishy Business. Launched NZ’s first equity crowdfunding offer in August 2014, and now claims a 70 per cent plus share of the crowdfunding marketplace. The Angel Association has been encouraging investors to manage their angel portfolios more actively for returns. Workshops have focussed on the acquisition process – looking at aspects like working with investment bankers, positioning companies effectively, and setting up quality deal rooms. IPOs are another liquidity option, and there have been some developments recently in the New Zealand market (with the launch of the NXT Market) and the Australian market (with ASX preparing to introduce more stringent criteria around the listing of early stage ventures). G3 Group was the first company to list on the NXT market 15 months ago, is now raising up to $3m, primarily to fund further acquisitions. The offer at $0.75 per share went live yesterday at at 6.25% discount to the last traded market price, and is being made available to the public through AANZ member Snowball Effect. This is the first time that a listed company has used an “equity crowdfunding” marketplace to raise funds in New Zealand. This is an interesting development for New Zealand’s capital market, especially given the importance of the listing pathway to angel investors, and the ability for young listed companies to raise capital efficiently and fund further growth. Here’s a summary of the key details and parties involved. G3 assists businesses, including a growing international customer base, to manage their data, documents, and customer communications, deploying new technologies for maximum reliability and efficiency. G3 began life 10 years ago as a small domestic provider of business mail services under the New Zealand Mail brand. Through a series of acquisitions, including Pete’s Post and Fastway Post, it now commands annual sales of over $40m and across its chosen markets of NZ, UK, and Australia. Since listing on the NXT market 15 months ago, G3 has done what it said it would do – achieve growth targets, expand via acquisition into document and data management, and expand into Australia. In its recent 2016 financial statements, G3 reported an increase in revenue of 8.4% to $43.95m, and an increase in profit before tax of 12.2% to $2.14m. G3 has completed 8 successful acquisitions in the past 4 years, and is currently looking at a number of new acquisition opportunities. Acquisitions will be focused on businesses which complement existing operations, and data management technology companies that enable G3 to leverage the strong revenues and customer base from its traditional operations towards emerging digital opportunities. G3’s growth strategy responds to increasing global trends for compliance and chain-of-custody around managing business documents. “Document management affects all businesses large or small” comments G3 CEO Mark Brightwell. “The cost and effectiveness of document workflows is critical to all businesses, and compliance is becoming increasingly complex especially as businesses attempt to run traditional paper based workflows in tandem with new digital systems.” G3’s service expansion strategy is designed to help businesses with this transition from old to new technologies. The offer is for up to $3 million by way of new ordinary shares at $0.75 per share listed on the NXT Market. This represents a 6.25% discount to the last traded market price. The capital raised will be leveraged with cash reserves and bank debt (as appropriate) to fund acquisitions in targeted growth markets. Click here to view the offer. NXT is a stock exchange designed for small and mid-sized companies. It is owned and operated by NZX. G3 was the first company to list on NXT, and is now accompanied by Marlborough Wine Estates Group, Oceania Natural, and Snakk Media. NXT provides a cheaper and simpler alternative to the NZX main board for growth companies by reducing the complexity of the listing and disclosure rules. 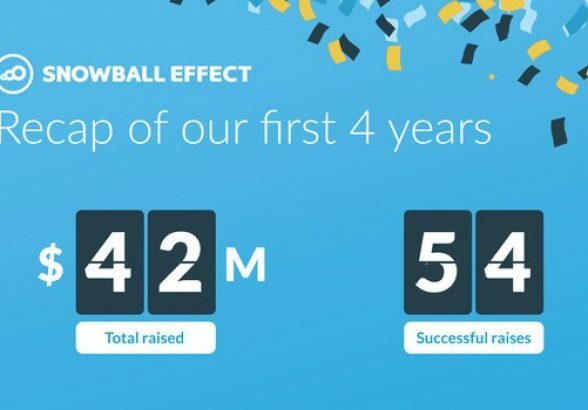 Snowball Effect has facilitated around 70% of the equity crowdfunding market in New Zealand, and has amassed an investor audience of more than 10,000 investors in 2 years. The marketplace helps cash-hungry growth companies raise capital from the public, or from its network of high net worth investors, many of whom seek active involvement within the businesses they invest in. This new distribution channel enables companies to raise funds efficiently, and provides investors with a simple way to discover and invest in growth companies. Snowball Effect last made headlines in April when Squirrel raised over $3.4m through its marketplace – beating the previous record of $2m. G3’s offer will mark another milestone as the first time that a listed company has used an “equity crowdfunding” marketplace to raise funds in New Zealand. Why is a listed company raising funds through an equity crowdfunding marketplace? Listed companies are required to comply with ongoing disclosure obligations, which provide investors with recent information regarding the historic and expected performance of each company. Given the ongoing disclosure, listed companies have much simpler regulatory requirements when offering securities (such as shares) that are the same as its securities which are already listed. This generally makes it easier to raise funds by issuing new shares. Despite the legal and disclosure obligations being simplified for a listed company, the economics are still difficult for a raise of this size in New Zealand. The large brokers provide the key distribution infrastructure to investors in the capital market, but a raise of this size is too small for the large brokers to participate in. Given the lack of distribution infrastructure to support a small public offer, companies raising small amounts are typically forced to consider private funding channels. They often end up looking for local high net worth investors or offshore investors. The capital raising process can end up being expensive and lengthy, and there is significant opportunity cost as management focus is diverted away from growing the business. The aim is to use Snowball Effect as a simple and efficient channel for G3 to distribute its offer and tap into New Zealand’s capital market. 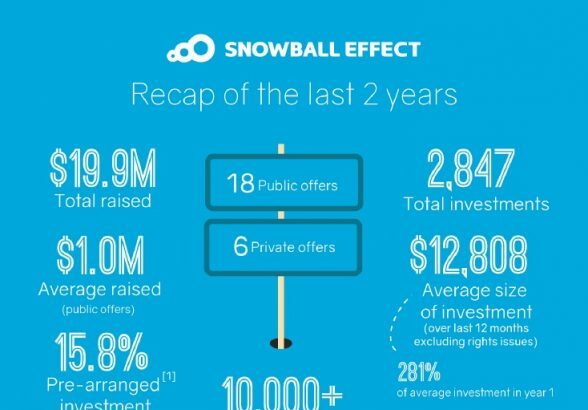 Snowball Effect launched the first equity crowdfunding offer in New Zealand in August 2014. Over the past 2 years it has evolved into a marketplace for a range of offers, including public, private, and wholesale investor offers. G3’s offer is not technically an equity crowdfunding offer because it is not relying on the equity crowdfunding regulations. However, it is using Snowball Effect’s marketplace as an efficient channel to reach a wide investor audience.